Ginger is a Miracle Food! Ginger is effective in combating many illnesses and relieving many other health problems. It seems that such a vegetable helps humans in various ways that are overlooked by people on a daily basis. Indians and Chinese incorporate it in their daily foods and have come to notice its strong health benefits. I have been sick with a strong cold before and was advised by a friend to use ginger tea for remedy, which made me feel better in the long run. I recommend ginger to be incorporated on a daily basis because it seriously is a remedy to many sicknesses and a good nutrition for your health and digestion! Incorporate Wheatgrass in Your Life! Its just difficult to know what is good for you to eat and what you should avoid, nowadays. Here is a quick lesson I received tonight and would like to share with you. I found this video to promote wheatgrass to you and show you how nutritional it is for your health. Some of the benefits of Wheat grass is that it can be detoxifying, increases fertility, aids your digestive system, promotes balanced blood pressure and more. 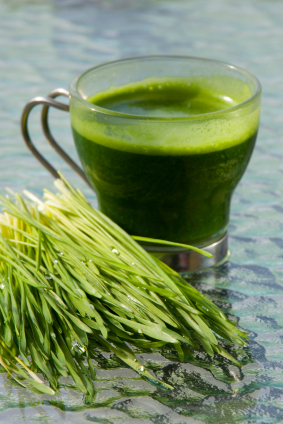 Wheatgrass can be consumed through juice, powder, tablets, or even eating it as a grass. In Fact! My blog promotes wheatgrass, as you seen it is my template! Now I can go on and on, but I think the video describe very well why its so good for you, so enjoy!